I discovered this plant last year at my local park and went back to photograph it in late August. 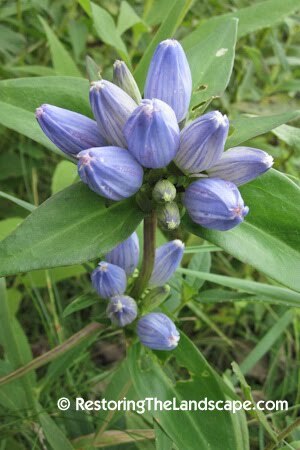 It is growing in very rich moist soil at the edge of a creek wetland in part sun. The City did an extensive burn this spring in the park including where these few plants are. There doesn't seem to be any more plants this year compared to last; I was expecting more due to the amazing amount of rainfall we've had this summer. As the common name suggests, the flower petals are fused/closed with a very small opening at the top. 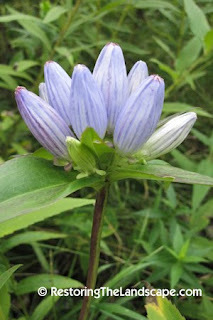 These particular flowers are a very light blue violet but they can also be a deep blue purple. 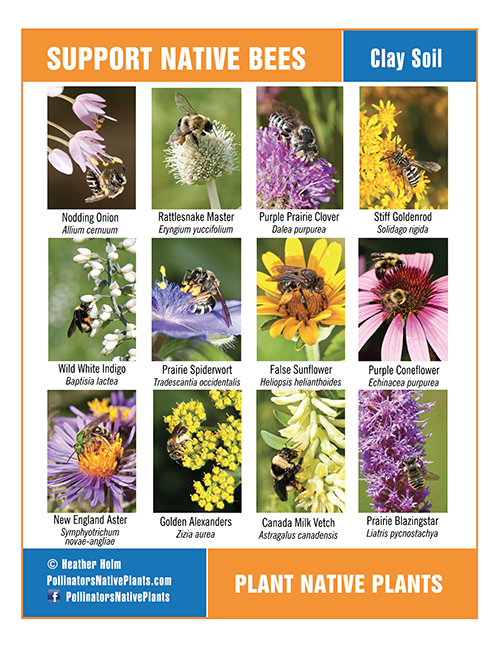 According to the Illinois Wildflowers website, "Bumblebees are the primary pollinators of the flowers, as they are one of the few insects that can force their way past the closed corolla." 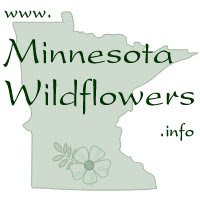 In an 1884 book, this native plant was reported "frequent through the south half of the state and in the Red River Valley; extending northeast to the upper Mississippi River". 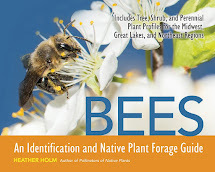 (Catalogue of the Flora of Minnesota, by Warren Upham).